We're impressed with our curriculum, now it's your turn! We hope to engage your child's sense of identity by capturing his/her imagination and attention. We therefore put a lot of effort into providing our students with substantive lessons and a positive atmosphere. 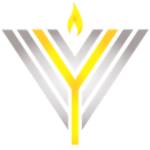 Our Yonkers Hebrew School program offers a Hebrew and Jewish studies curriculum. Students learn to read and write Hebrew, basic Hebrew language skills and gain an appreciation for the who, what, when and why of Jewish life. Our educational approach sees the student as an active learner, a dynamic explorer rather than a passive recipient of knowledge. As such, our curriculum cultivates the student's natural enthusiasm for learning, so that s/he emerges with the values, knowledge and skills necessary for a solid foundation of life-long Jewish learning. Drama, song, interactive workbooks, Aleph Champ and of course the teachers bring the information to life at the Yonkers Hebrew School. We engage your child's sense of identity by capturing his/her imagination and attention. So, we put a lot of effort into providing our students with substantive lessons and a positive atmosphere. The lessons are multi-sensory and hands-on, ensuring that the students truly experience what they are being taught. Art projects are incorporated into our curriculum to add to the excitement of the upcoming holidays and Mitzvot. The lessons are structured with discussion-starters to create a lively, interactive classroom experience. The information truly becomes the student's own.